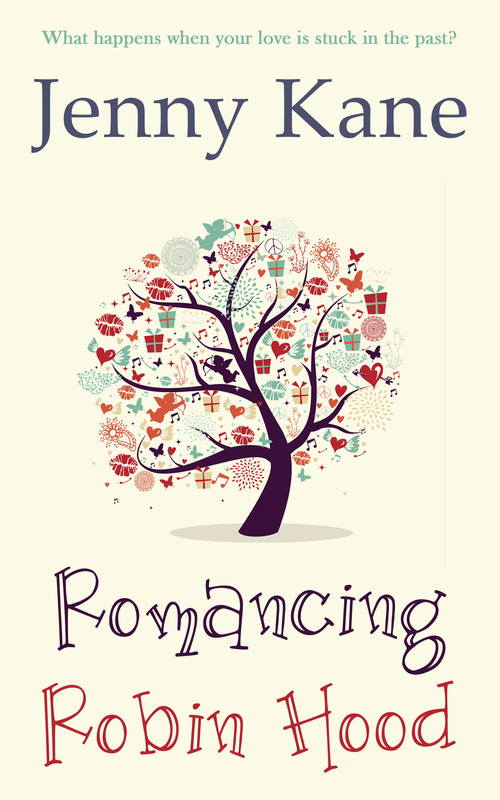 Romancing Robin Hood is a contemporary romance all about history lecturer Dr Grace Harper, who is nuts about Robin Hood and the historical outlaws that may have inspired him. So not only does Romancing Robin Hood tell the story of Grace’s fight to find time for romance in her busy work filled life, it also contains a secondary story about the fourteenth century criminal gang Grace is researching- the Folvilles. This family, based in Ashby-Folville in Leicestershire, were a group I researched in-depth as a student many moons ago. In the novella she is writing, Grace’s fourteenth century protagonist Mathilda is getting to know the Folville family rather better than she would have liked. As well as living with them, she suddenly finds herself under a very frightening type of suspicion. I must confess I’m rather enjoyed weaving this sub plot around the main romance of the modern part of Romancing Robin Hood. In my last blog I shared a little of the modern side of my time slip novel, Romancing Robin Hood. Today I thought I’d share a little of the medieval side of the tale. Mathilda thought she was used to darkness, but the dim candlelight of the comfortable small room she shared at home with her brothers was nothing like this. The sheer density of this darkness seemed to envelop her, physically gliding over Mathilda’s clammy goose-pimpled skin. This was an extreme blackness that coated her, making her breathless, as if it was stealthfully compressing her lungs and squeezing the life from her. Unable to see the floor, Mathilda presumed, as she pressed her naked foot against it and damp oozed between her toes, that the suspiciously soft surface she was sat on was moss, which in a room neglected for years had been allowed it to form a cushion on the stone floor. It was a theory backed up by the smell of mould and general filthiness which hung in the air. Trying not to think about how long she was going to be left in this windowless cell, Mathilda stretched out her arms and bravely felt for the extent of the walls, hoping she wasn’t about to touch something other than cold stone. The child’s voice that lingered at the back of her mind, even though she was a woman of nineteen, was telling her – screaming at her – that there might be bodies in here, still clapped in irons, abandoned and rotting. Mathilda battled the voice down; knowing it that would do her no good at all. Her father had always congratulated Mathilda on her level headedness, and now it was being put to the test. She was determined not to let him down now. Placing the very tips of her fingers against the wall behind her, she felt her way around. It was wet. Trickles of water had found a way in from somewhere, giving the walls the same slimy covering as the floor. Mathilda traced the outline of the rough stone wall, keeping her feet exactly where they were. In seconds her fingers came to a corner, and twisting at the waist, she managed to plot her prison from one side of the heavy wooden door to the other, without doing more than extending the span of her arms. Mathilda decided the room could be no more than five feet square, although it must be about six foot tall. Her own five-foot frame had stumbled down a step when she’d been pushed into the cell, and her head was at least a foot clear of the ceiling. The bleak eerie silence was eating away at her determination to be brave, and the cold brought her suppressed fear to the fore. Suddenly the shivering Mathilda had stoically ignored overtook her, and there was nothing she could do but let it invade her small slim body. Wrapping her thin arms around her chest, she pulled up her hood, hugged her grey woollen surcoat tighter about her shoulders, and sent an unspoken prayer of thanks up to Our Lady for the fact that her legs were covered. She’d been helping her two brothers, Matthew and Oswin, to catch fish in the deeper water beyond the second of Twyford’s fords when the men had come. Mathilda had been wearing an old pair of Matthew’s hose, although no stockings or shoes. She thought of her warm footwear, discarded earlier with such merry abandon. A forgotten, neglected pile on the river bank; thrown haphazardly beneath a tree in her eagerness to get them off and join the boys in their work. It was one of the only tasks their father gave them that could have been considered fun. Mathilda closed her eyes, angry as the tears she’d forbidden herself to shed defied her stubborn will and came anyway. With them came weariness. It consumed her, forcing her to sink onto the rotten floor. Water dripped into her long, lank red hair. The tussle of capture had loosened its neatly woven plait, and now it hung awkwardly, half in and half out of its bindings, like a badly strapped sheaf of strawberry corn. …Does Mathilda seem miserable and scared enough? Grace wasn’t sure she’d laid the horror of the situation on thick enough. On the other hand, she didn’t want to drown her potential readers in suffering-related adjectives. No, on reflection it was fine; certainly good enough to leave and come back to on the next read through. She glanced at the clock at the corner of the computer screen. How the hell had it got to eight thirty already? Grace’s stomach rumbled, making her think of poor Mathilda in her solitary prison. Switching off her computer, Grace crammed all her notes into her bag so she could read over them at home, and headed out of her office. Walking down the Queen’s Road, which led from the university to her small home in Leicester’s Clarendon Park region, Grace decided it was way too hot, even at this time of the evening, to stand in the kitchen and attempt, and probably fail, to cook something edible, so she’d grab a takeaway. 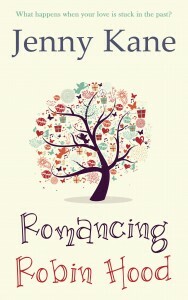 Romancing Robin Hood – Blurb. Available in e-format and paperback.